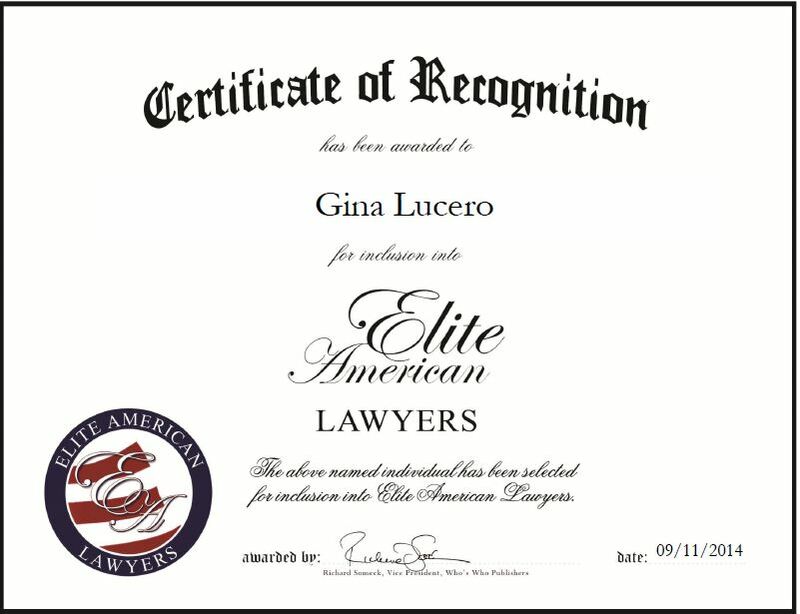 Gina Lucero always had an interest in the area of law and advocating at an early age, which inspired her to pursue a career in the legal field. Ms. Lucero has been a civil litigation lawyer in Houston for more than 20 years and established her own firm in May 2006. Lucero/Wollam, PLLC specializes in all phases of civil litigation, with an emphasis in the defense of complex litigation and trial matters, and works with various insurance companies, businesses and individuals. Ms. Lucero has extensive litigation and trial experience in civil cases, and represents insurers, companies and individuals with great results. She has earned a reputation in the community as an excellent lawyer. Ms. Lucero focuses on issues of personal injury defense and workers’ compensation, and oversees some of the office management responsibilities in the area of human resources. She takes great pride in her work and always listens to her clients’ needs. She ensures she receives their desired results and treats all her clients the same, no matter how big or small. Ms. Lucero attributes her success to her hard work and work ethic, as well as meeting all types of different people from different industries. In the coming years, she would like to continue to grow and expand her firm in the state of Texas. This entry was posted in Civil Litigation and tagged civil cases, personal injury defense, trials, workers' compensation. Bookmark the permalink.